The Fisher & Paykel Built-in Bottom Mount Refrigerator is ideal for people who want to complete their kitchen with a seamless elegant look. This Integrated Fridge is designed to allow only the smallest gaps between cabinetry meaning smooth lines and perfect symmetry. The Fisher & Paykel Built-in Bottom Mount Refrigerator has the option to have either, right or left hand door opening plus built-in ice maker and water dispenser. This family-size fridge not only offers a seamless look to the kitchen it provides excellent food care with its ActiveSmart technology.Fisher & Paykel’s Fridge-Freezers sense and adjust to daily use in an intelligent way. The ActiveSmart Foodcare technology automatically controls the temperature inside the fridge to deliver better food care and prolong freshness no matter how many times the kids open the fridge door. The Fisher & Paykel family of built-in refrigerators provides new flush-fit design and can be integrated behind your kitchen cabinetry. Choose between optional stainless steel or integrated door panels. These refrigerators offer a seamless look to the kitchen while helping food stay fresher longer with ActiveSmart™ Foodcare. *Wooden cabinetry in image not included. Stainless steel door panel set sold separately. Looking for a stylish, reliable and innovative fridge for your family home? Well look no further than the Fisher & Paykel Top Mount Stainless Steel 447L Fridge. 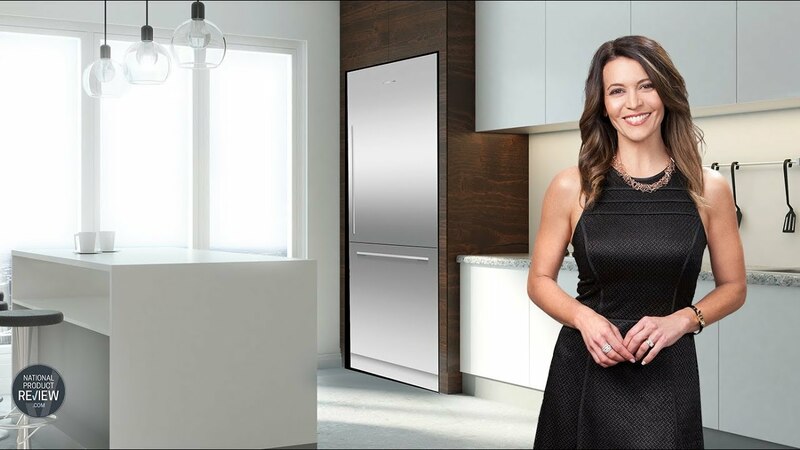 Featuring ActiveSmart Foodcare the Fisher & Paykel Top Mount Fridge is packed with intelligent design features and food care solutions to help keep your food fresher and more nutritious for longer. Available in a range of sizes, door configurations and colours you will be able to find a model to best suit your home.